Amendment 3 modified the framework procedure for specifying total allowable catch (TAC) by providing that the National Marine Fisheries Service (NMFS) would provide stock assessments biennially rather than annually. This final rule is effective October 2, 1992. Amendment 2, implemented in 1988, prohibited retention and possession of red drum from the exclusive economic zone (EEZ). This action was based on a Southeast Fisheries Center (SEFC) stock assessment (Goodyear, 1987) which concluded annual fishing mortality (F) for 1986 on the juvenile population was on the order of 2.0, and consequently escapement rates to the spawning stock biomass (SSB) were likely less than 2.0 percent which would not maintain the SSB at a 20 percent spawning stock biomass per recruit (SSBR) relative to the unfished stock. In addition, fishing mortality on the offshore stock was estimated to be about 0.25 (22 percent annually). The 1987 Stock Assessment Panel report recommended that acceptable biological catch (ABC) be set at zero for the EEZ and that the states increase the escapement rate from the estuaries to 30 percent. The 1989 SEFC Stock Assessment report (Goodyear) indicated the SSBR would likely decline to 13 percent. The 1989 Stock Assessment Panel report recommended ABC for the EEZ be maintained at zero, and that the states increase escapement to 30 percent.During 1991, the Red Drum Stock Assessment Panel (panel) reviewed stock assessments prepared by National Marine Fisheries Service (NMFS) (Goodyear, 1991), the Louisiana Department of Wildlife and Fisheries (1991), and the State of Florida (Murphy, et. al. 1990). The panel (Condrey, al, 1991) recommendation was that ABC be set at zero. The Council recommended to NMFS that total allowable catch (TAC) be zero for 1992, and that a more comprehensive assessment of a SSBR level be provided in 1992. This final rule is effective June 29, 1988. The Gulf of Mexico Fishery Management Council (Council) prepared Amendment 1 to the fishery management plan (FMP), which was implemented on October 16, 1987. The amendment continued the prohibition of a directed commercial exclusive economic zone (EEZ) fishery, but converted the commercial and recreational estimated catch allowances into quotas that were restricted to EEZ waters off Louisiana, Mississippi, and Alabama (the primary area); harvest was prohibited from the EEZ off Florida and Texas (secondary areas). The Council also requested that all Gulf states implement rules within their jurisdictions that would provide for an escapement rate of juvenile fish to the SSB equivalent to 20 percent of those that would have escaped had there been no inshore fishery. Such an escapement rate was judged as necessary to maintain a SSB level that would prevent recruitment failure and collapse of the fishery. This final rule is effective October 16, 1987. 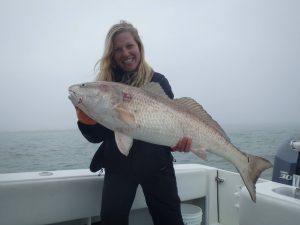 The Red Drum fishery management plan (FMP) prohibited directed commercial harvest from the exclusive economic zone (EEZ) for 1987. The FMP provided for a recreational bag limit of one fish per person per trip, and an incidental catch allowance for commercial net and shrimp fishermen. Total harvest was estimated at 625,000 pounds; 300,000 by the commercial sector, and 325,000 by the recreational sector. The stock assessment sections of the FMP documented high inshore (state waters) fishing mortality on juvenile and sub-adult red drum and provided analysis that indicated significant long-term risks to the spawning stock biomass (SSB) associated with reduced juvenile recruitment to the adult population and with continued exploitation of adults. This final rule is effective December 19, 1988.